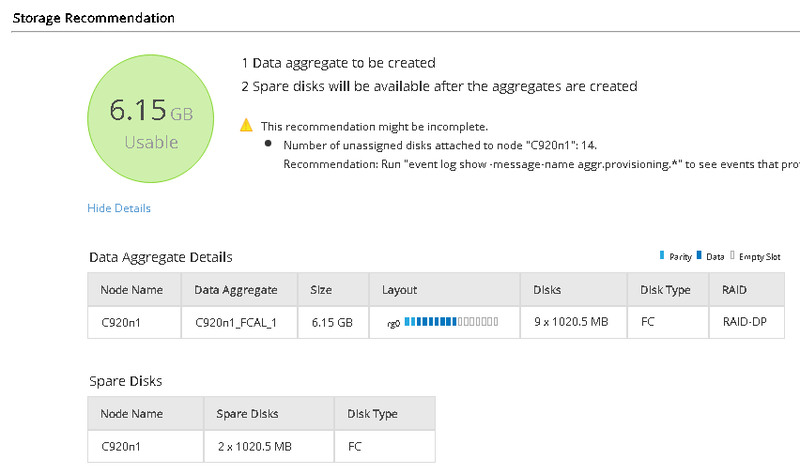 Note: Click to enlarge any of the pictures in this post. 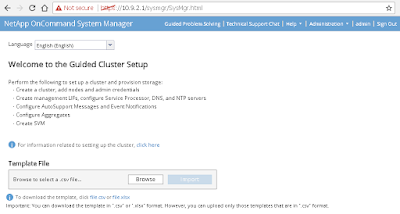 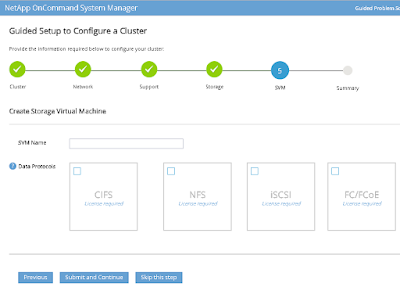 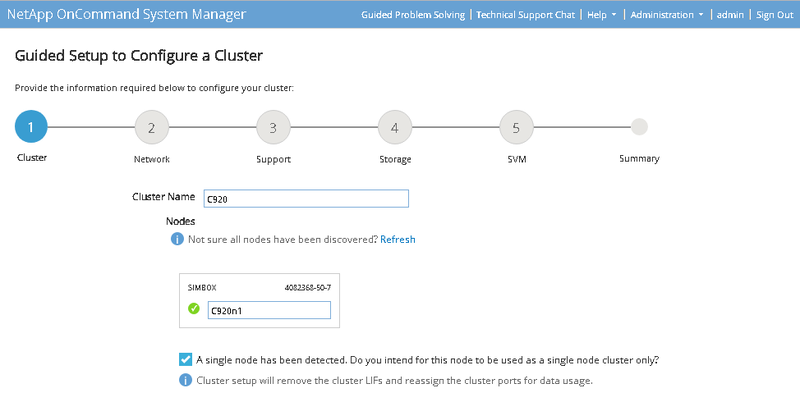 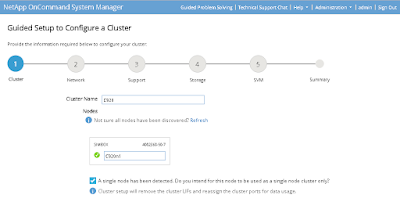 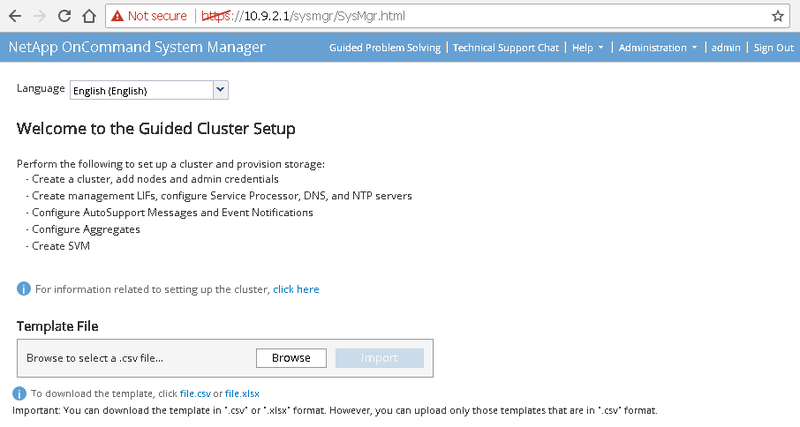 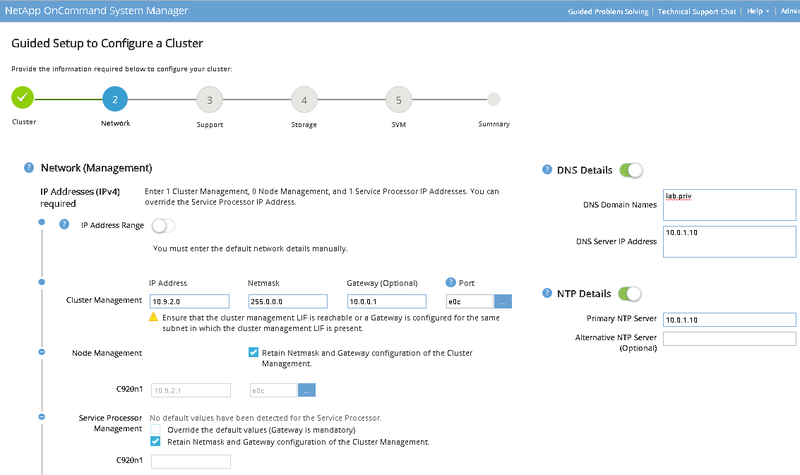 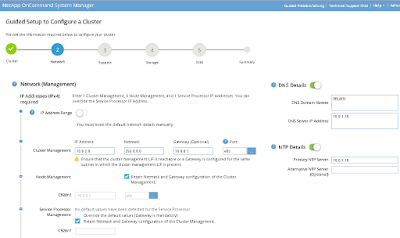 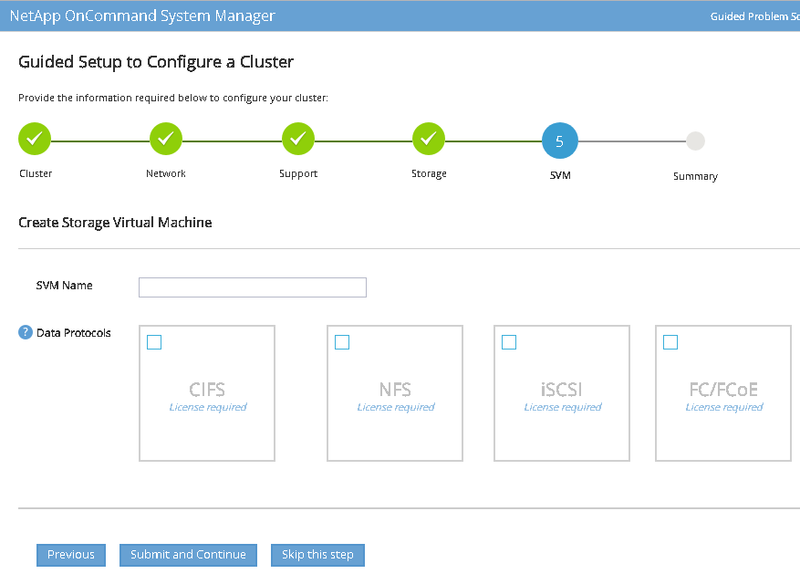 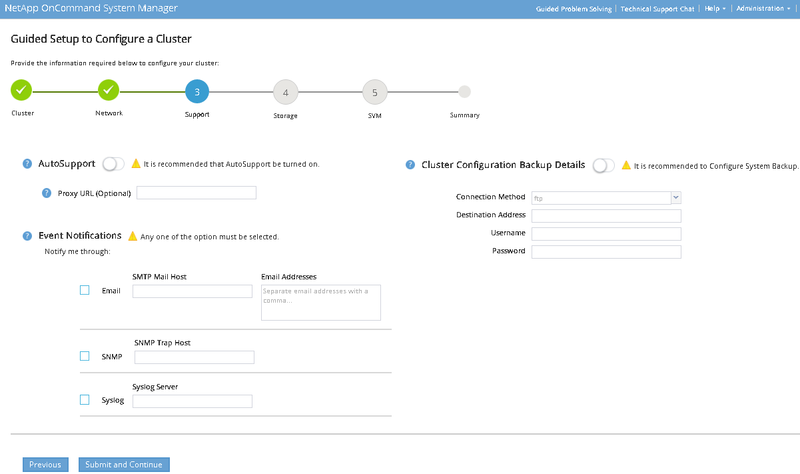 The Guided Cluster Setup in ONTAP 9.2 is really very good. I remember I tried to setup a 9.1 simulator using the guided setup, and that didn’t work, with ONTAP 9.2 it can be used to setup your simulator. 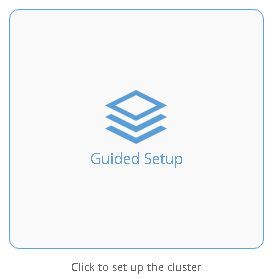 And click the big ‘Guided Setup’ button. 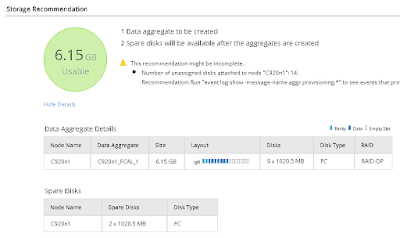 This step will configure you a recommended storage layout or you can skip. 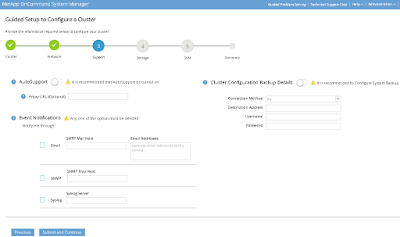 just an image to prove log in into a working ONTAP 9.2 simulator!